PORTLAND, Ore.—Widmer Brothers Brewing will be giving away a bike every day for 100 days in the Portland area this summer as part of the brewery’s second “100 Days of Hefe” event series. Once again Widmer Brothers has planned more than 100 local events from the end of May through Labor Day Weekend celebrating the brewery’s flagship beer, Hefe, and giving fans multiple opportunities to meet members of the brewing team and brewery co-founders Kurt and Rob Widmer throughout the summer. Widmer Brothers Brewing is giving away a bike every day for 100 days in the Portland area this summer as part of its “100 Days of Hefe” event series. This year’s “100 Days of Hefe” includes a fundraising effort for the Bicycle Transportation Alliance (BTA), a local non-profit that works to promote bicycling and improve bicycling conditions in Oregon. 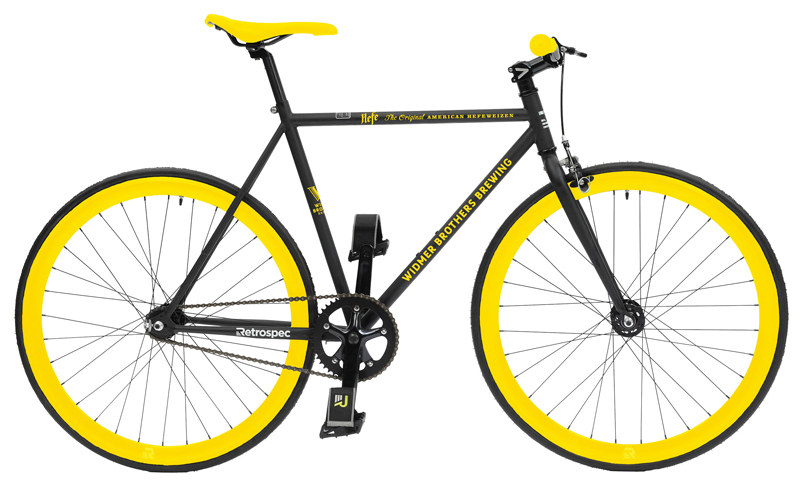 At each event, the brewery will raffle off a Hefe-branded yellow and black city cruiser bike. The goal is to raise at least $100 per event, to donate a total of $10,000 to the BTA at the end of the summer. “100 Days of Hefe” kicks off Thursday, May 28, 2015, at the Dublin Pub, the birthplace of Widmer Brothers Hefe in 1986. Rob Widmer will be in attendance at the kick-off event starting at 3:00 p.m. Patrons are encouraged to join him, share a pint of the Original American Hefeweizen, and enter to win the first bike out of 100. A full list of “100 Days of Hefe” events is posted at widmerbrothers.com/blog. For more information on Widmer Brothers Brewing, please visit widmerbrothers.com or see what the brewery is up to on Facebook, Twitter and Instagram. Widmer Brothers Hefe (pronounced: “Hay-fa”) began as an improvisation inspired by brothers Kurt and Rob’s love of German style beers. 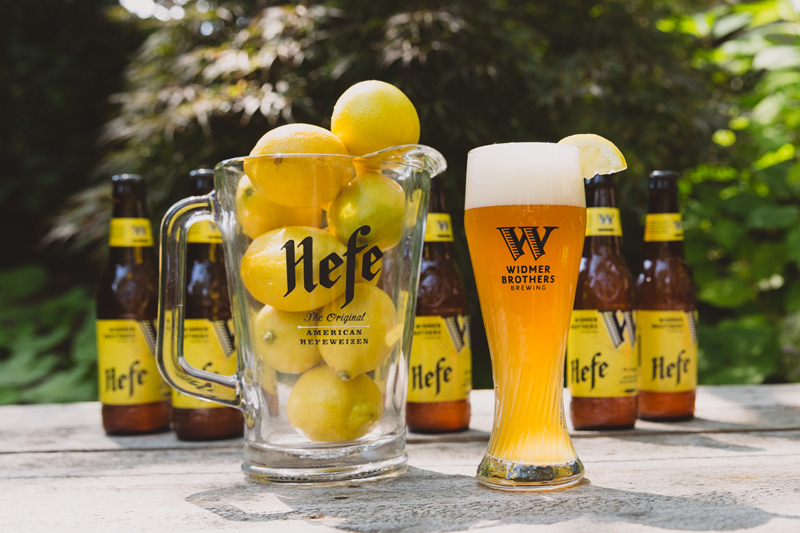 Brewed with golden wheat, Hefe’s unique cloudy appearance, bold flavors and citrus notes defined the American style Hefeweizen. Multiple awards and nearly three decades later, Hefe remains the gold standard and Oregon’s favorite craft beer. Prost, to the Original! World Beer Cup gold award winner in 2004, 2008 and 2014. Great American Beer Festival gold medal winner in 1998 and 2006, and silver medal winner in 2014. Widmer Brothers Brewing was founded in 1984 in Portland, Ore. Brothers Kurt and Rob Widmer, with help from their dad, Ray, helped lead the Pacific Northwest craft beer movement when they began brewing unique interpretations of traditional German beer styles. In 1986, Widmer Brothers Brewing introduced the original American-style Hefeweizen, which elevated the brewery to national acclaim. Since then, Hefe (pronounced: “hay-fa”) has grown to become Oregon’s favorite craft beer and the brewery has continued to push the boundaries, developing beers with an unapologetic, uncompromised commitment to innovation. The brewery currently brews a variety of award-winning beers including Hefe, Upheaval IPA, Alchemy Pale Ale, Drop Top Amber Ale, a full seasonal lineup, and a series of limited-edition beers. For more information about Widmer Brothers Brewing, visit www.widmerbrothers.com. I see the widmer workers giving away free raffle tickets to a lot of people, but when I came I was charged $1.00 per raffle. So is it free or not? I am at the family fun Center bullwinkles location in Wilsonville Oregon right now.